API is not visible to public , but can see after logged in. This can be due to the problem in indexing of APIs. WSO2 APIM is providing the search capability of APIs with it's Solr based indexing feature. Once there is a problem in indexing , it can cause to Not to displace the migrated APIs at all. It is needed to allow the APIM to do the indexing again. In order to do that , it is needed to do the following steps. 2. Change the value of "lastAccessTimeLocation" property in registry.xml file located in WSO2AM/repository/conf to an arbitrary value. Note: About entry contains the last time it created the indexing on WSO2 AM in milliseconds. When we change it , if there is no resource available, APIM will create the indexing again and build the content for solr directory. 3. After the above step, restart the server and let it to be idle for 3-5 mins. 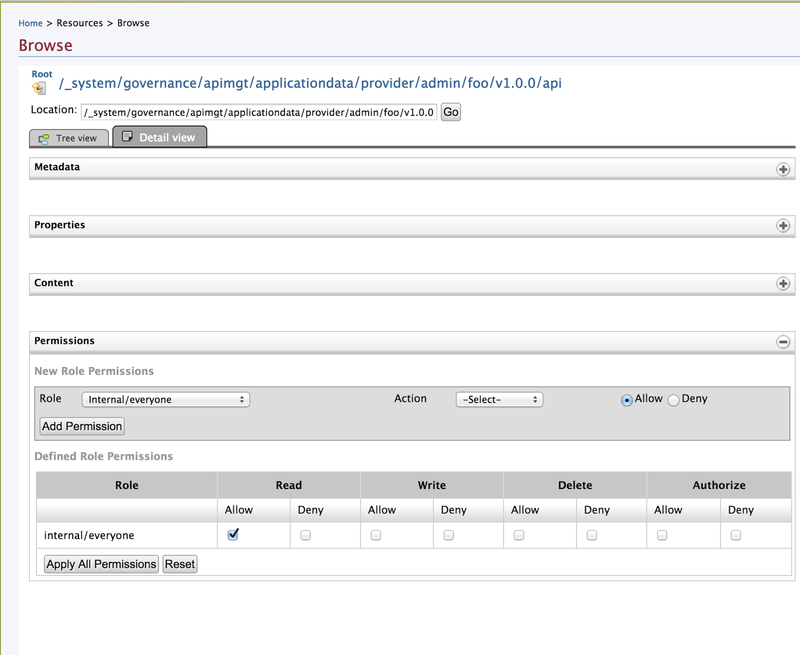 Then you will be able to see the APIs if the problem was with the API indexing. This can be caused due to a permission issue for the migrated API. By default, if we create an API with visibility as public, APIM will create a resource for that API in registry with "system/wso2.anonymous.role" role with read permission. 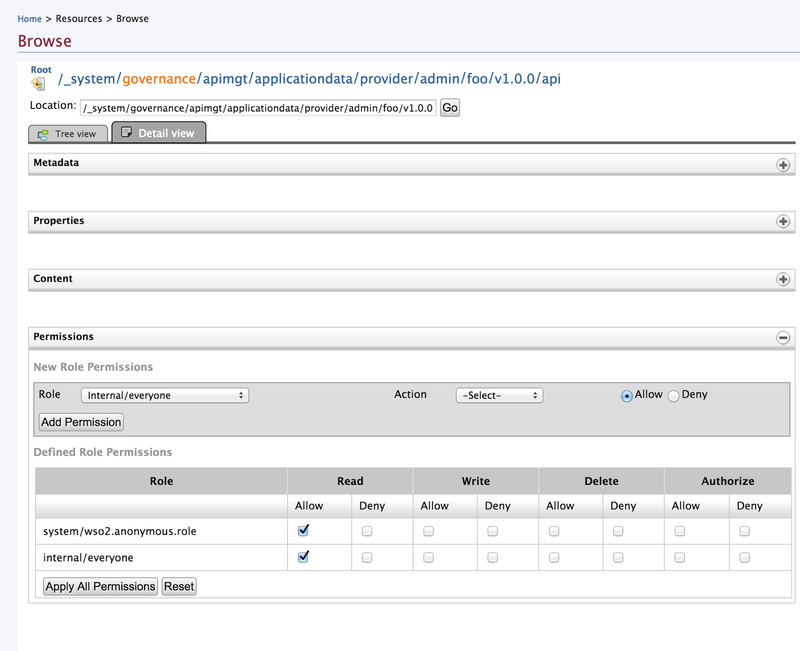 Eg: If i create an API called foo and with visibility set to public, i can see following permissions in registry. So i can see my API with out log in to the API Store as bellow. If i remove the anonymous permission from the registry resource, as bellow, It will not be visible to public. So, if you are experiencing a problem like this, You need to search for this API in registry and then check whether it has the read permission for the role "system/wso2.anonymous.role". If not just check by adding that permission. Then if it is working fine, You can check your migration script for the problem of not migrating the permissions correctly.